Special screening of the BBC horror classic. If you've never seen the Craig Charles-starring 1992 fright-fest Ghostwatch - even after our recommendation to do so at Halloween - or if you have and just fancy the chance to see how a room full of people react to its many unsettling and jump-inducing moments, then now's your chance. Transmitted on Halloween, this incredibly original production was the Blair Witch Project of its day, using some of the BBC's leading personalities to convey the illusion of a 'live' report from a haunted house. Employing the devices of reality television, Ghostwatch treats its terrifying story as seemingly live events - a tradition of hoax broadcasting that stretches back to Orson Welles' infamous War of the Worlds radio stunt of 1937. Now more than 20 years later, Ghostwatch has achieved cult TV status and we are delighted to be able to reunite the original Ghostwatch team discuss its amazing conception and impact. 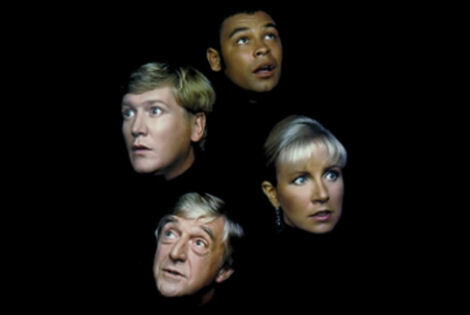 That "original Ghostwatch team" includes, in addition to Craig, presenter/stars Sir Michael Parkinson, Sarah Greene and Mike Smith - plus writer Stephen Volk and director Lesley Manning. Pending work commitments, all six are scheduled to appear in a Q&A session immediately after the screening. Find out more and book tickets at the BFI website.